Launch X431 CRP429C arrived me 3 days ago, paid 226EUR incl. shipping cost. 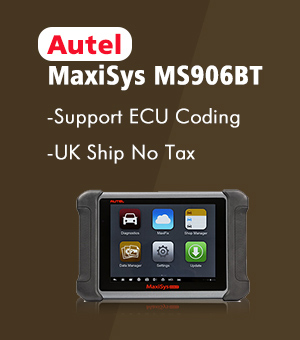 I thought using it to perform both OBD1 /OBD2 diagnostic and most service reset functions. I’ve tested it and confirmed it is working great, so I’d like to share my experience with you. Launch CRP429C scan tool was shipped complete with all the accessories. 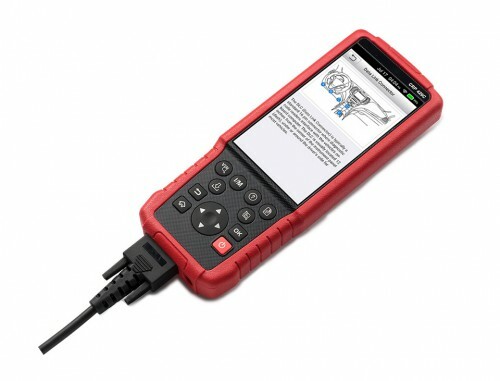 That includes the CRP429C scanner, an OBD2 diagnostic cable, one charging cable, a user manual, and a carrying case. 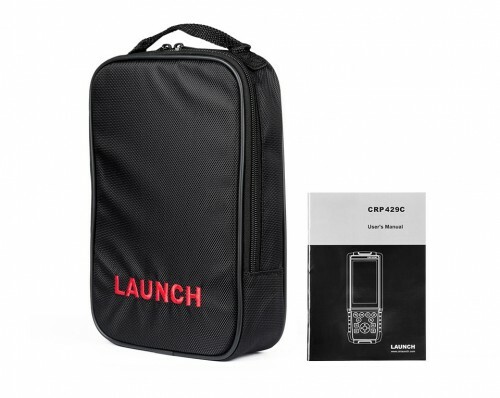 The carrying case is a nice little bag that is completely black save for the large LAUNCH’ imprint that’s red. It makes a great addition to the package especially for those who may want to walk around with the device. That is unavoidable if you are a car dealer or mechanic who goes far and wide either buying/selling or repairing vehicles. Contrary to most other launch tools, the connection port of the Launch CRP429C scanner is at the bottom. It’s actually the first Launch scanner with the design. 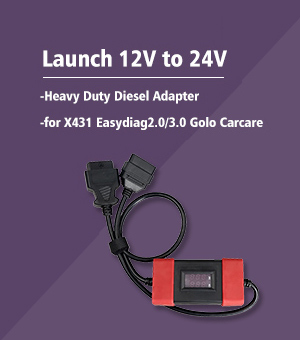 Plug the Launch X431 CRP429C it will automatically detect your car, including the make, model, year and (in some cases) mileage of the vehicle. After that, it will lead me to diagnostics where I can choose the systems to scan. Good to know: the auto-detect feature doesn’t work on every single vehicle. 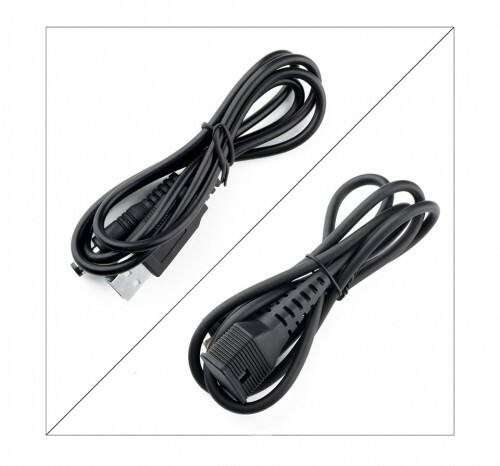 For example, there are reported auto-detection issues with the 2006 Nissan Teana and 2002 Mazda B2300 pickup. If it failed, don’t worry, you can select your car make and model manually from the drop down option box. 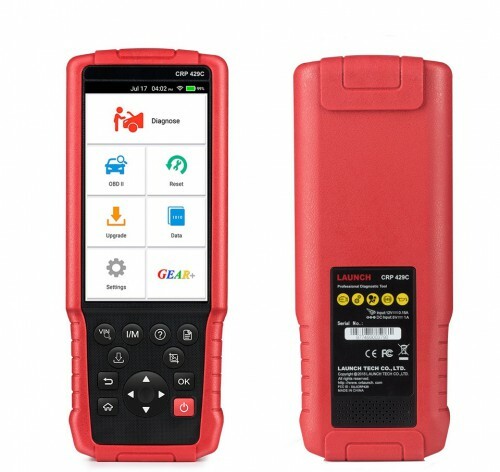 X431 CRP429C diagnostic result: can read and erase codes from the car’s main systems. They include ECU, ABS, SRS, transmission, power train, body, chassis etc. By clearing all the codes of a particular system I can reset that system’s warning light. For example, after clearing ECU codes the Check Engine Light will reset. Alongside the DTCs, CRP429C also gives part numbers of faulty components just in case you need to buy replacements. It also runs I/M readiness and O2 sensor tests. Moreover, I confirm X431 CRP429C comes with a ton of data in text and graph formats. I can do a data stream, view freeze frame data and run on-board monitor tests. It gives diagnostic reports that are printable and also allows me to record diagnostic reports. I can playback the data at a later time. The other nice thing is graphing of data and comparing of graphs. Additionally, the scanner keeps historical codes. 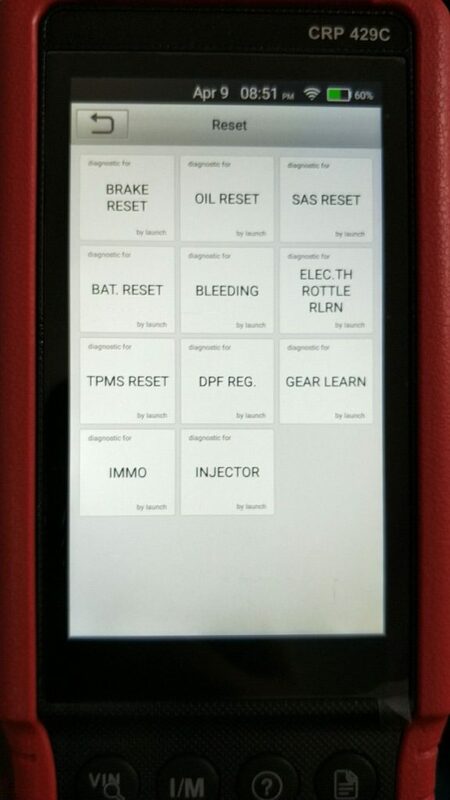 If you’re a mechanic and a customer claims the code wasn’t there before you can pull out the history and show them the code and when it first appeared. -Its built-in database with DTC definitions. -Can connect this scan tool to the internet and do a DTC lookup or find replacement parts. -8GB built-in memory. CRP429C saves each scan session automatically so that I have that info for future reference. 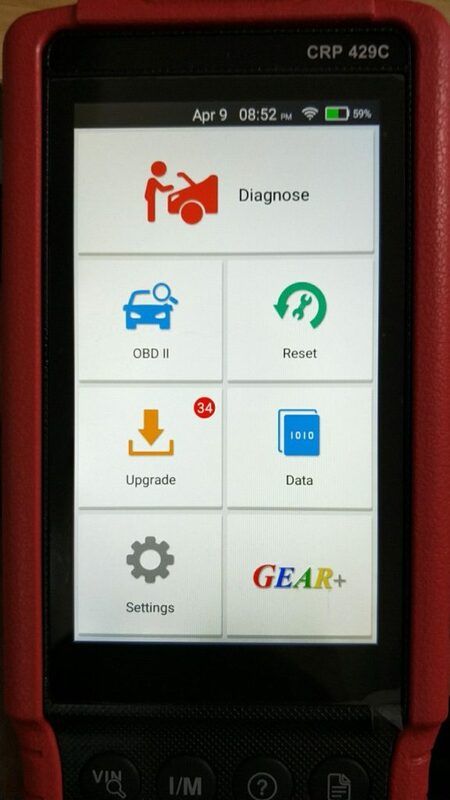 In addition to OBD2 diagnosis, X431 CRP429C also has 11 special reset Function like: ABS bleeding, oil service reset, gear learning, injector coding, BMS, TPS, IMMO, SAS reset, DPF regeneration, EPB, and TPMS reset. 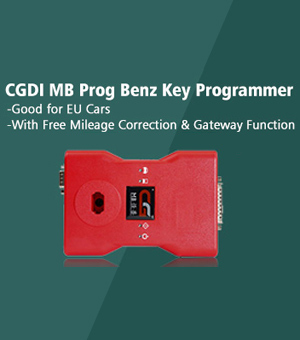 Launch X431 CRP429C covers many mainstream OBD2 vehicles. Launch Tech claim that it covers a total of 46 car brands including Ford, GM, VW, BMW, Toyota, Jaguar, Audi, Hyundai, Honda and many more. 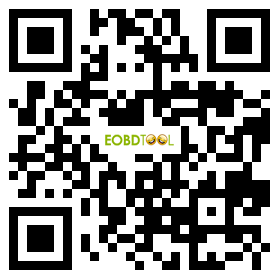 The scan tool can also diagnose OBD1 cars by connecting with an OBD1 cable that doesn’t come with the package. Navigation combines both buttons and a touch screen for more convenience. There’s a HOME button at the bottom left that can return you to the main menu with just one click. 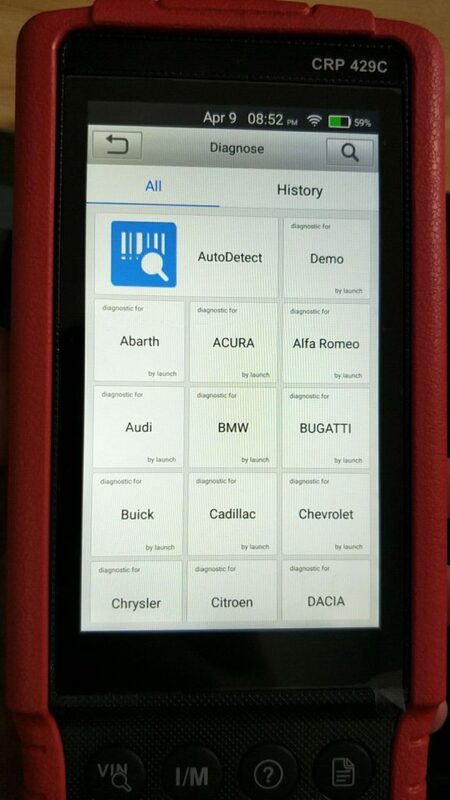 The top left has an Auto-VIN button for detecting cars automatically. On the immediate right of the Auto-VIN button is an I/M button for checking emissions instantly. The other handy button is the Screenshot button that allows you to do just that – take a screenshot of whatever is appearing on the scanner’s screen at any given time. Whether its DTCs live data or vehicle info, you may need the record for future reference. – Doesn’t have the capabilities of relearn, coding and programming that professional mechanics frequently need.